In any case where a ‘qualification for admission’ is more than 10 years old at the time that a candidate for admission applies to the NZCLE for a completion certificate, the NZCLE may, in its discretion, assess such qualification, and may impose further study or training on the candidate. For New Zealand LLB degree holders, a ‘qualification for admission’ means a New Zealand LLB (or LLB with Hons), any subject of examination (i.e. 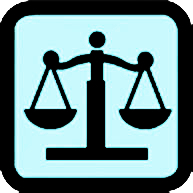 core subjects), a university course in Legal Ethics, the Professional Legal Studies Course. For overseas graduates or lawyers, a ‘qualification for admission’ means in respect of any determination issued to such person in relation to an application for assessment, any degree subject, the New Zealand Law and Practice Examination, legal ethics course, practical legal training course or English requirement prescribed by NZCLE pursuant to that determination. Please click here for more information and a staleness assessment application form.